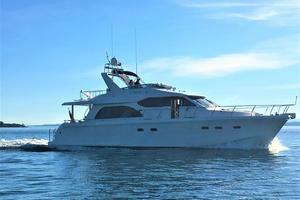 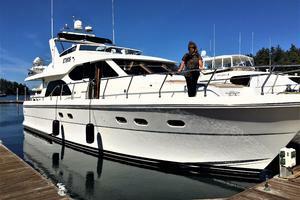 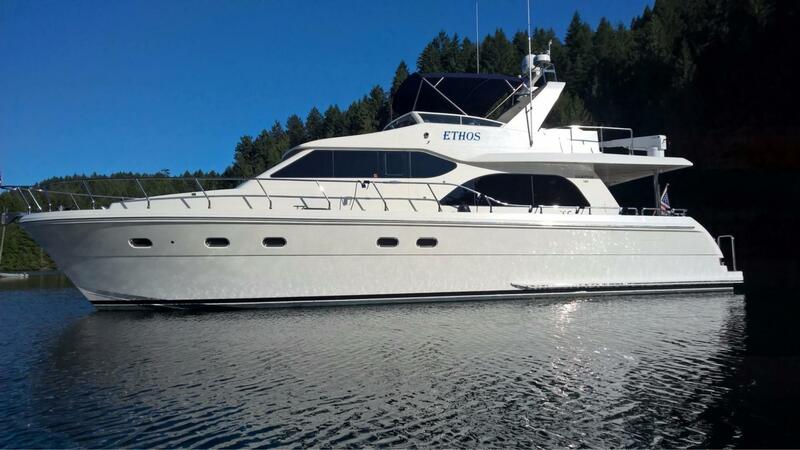 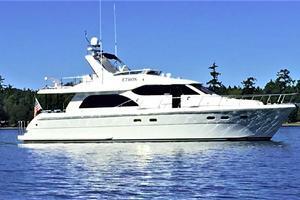 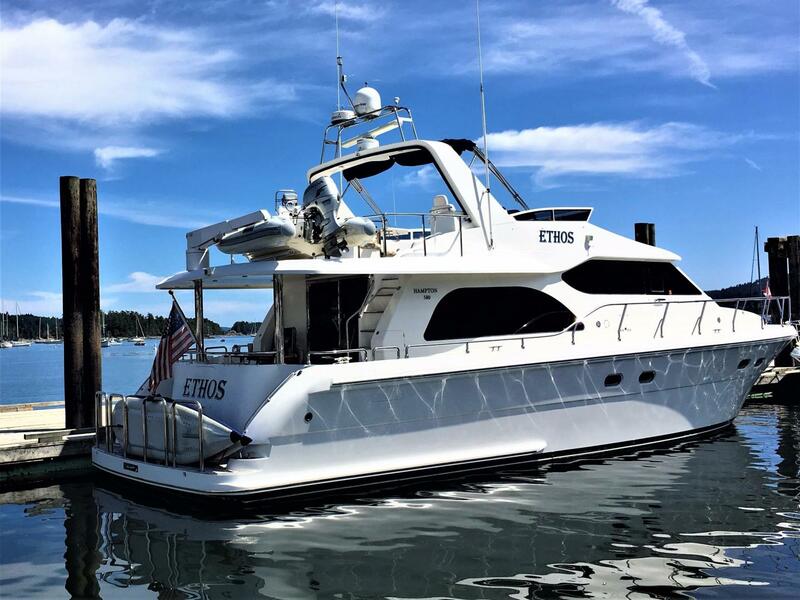 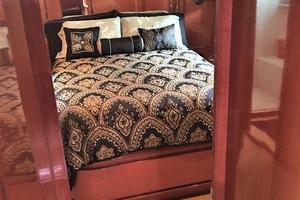 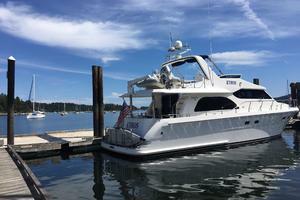 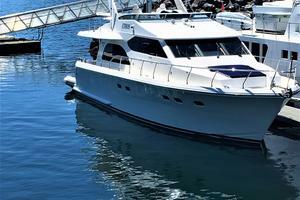 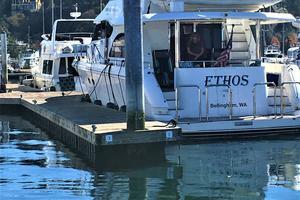 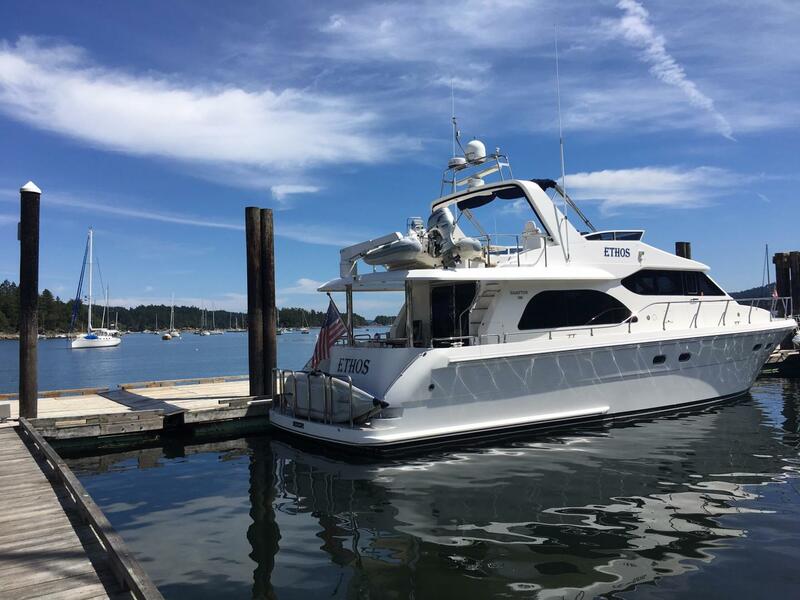 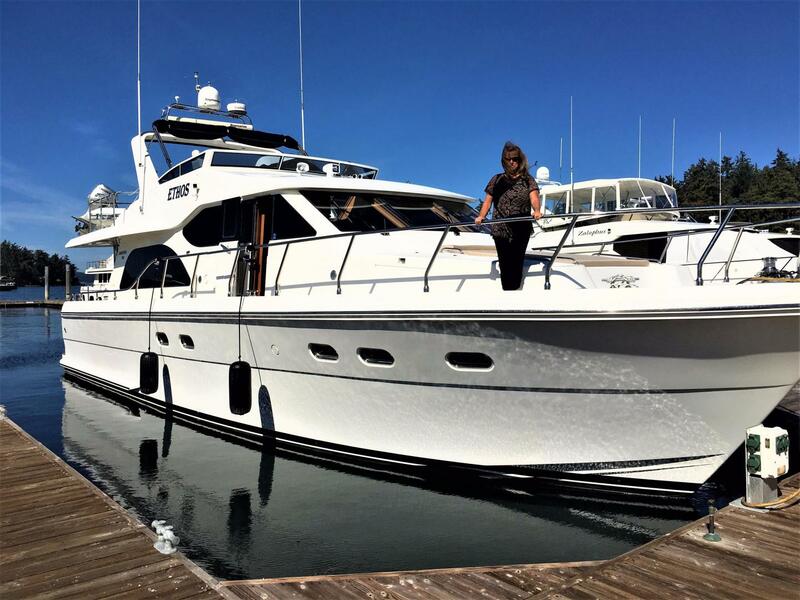 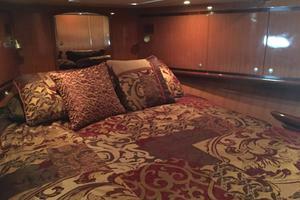 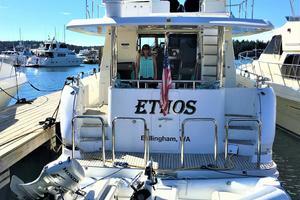 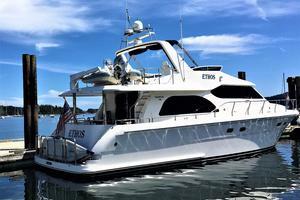 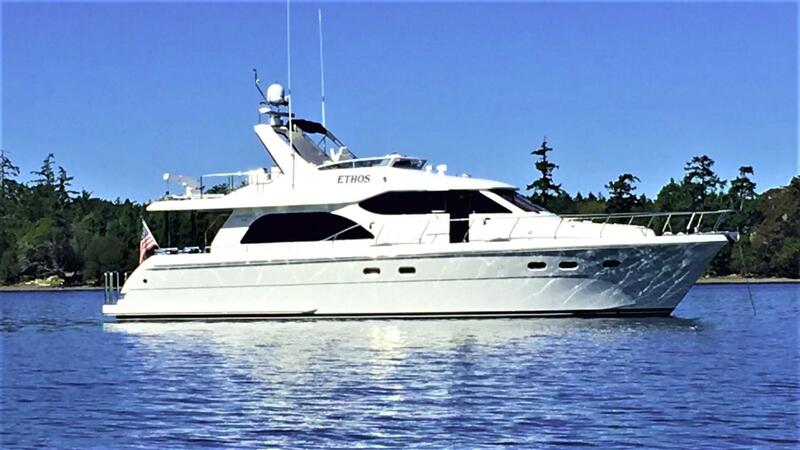 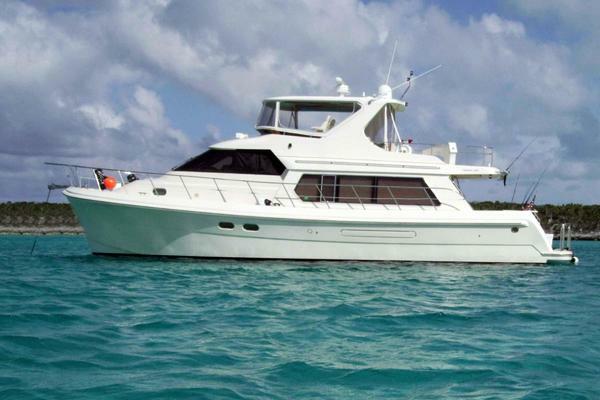 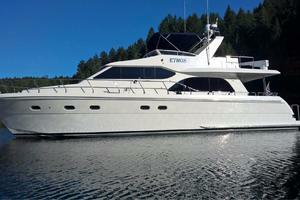 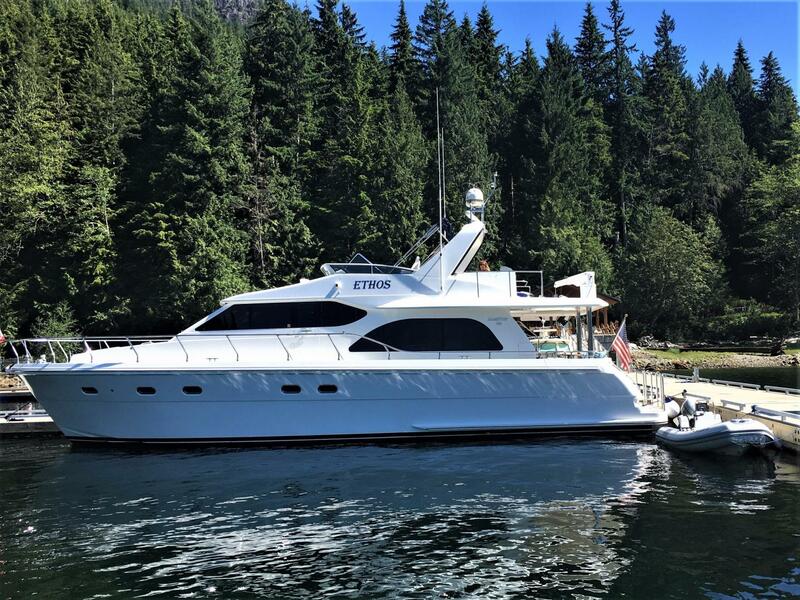 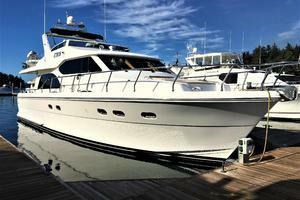 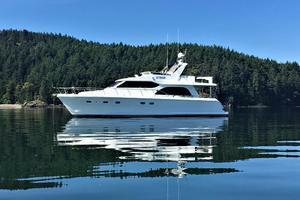 "Ethos" is a beautiful 2008 Hampton 58 Pilothouse. 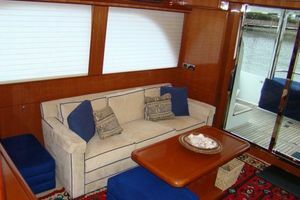 The Hampton 580 is one of the factory's most popular model to date. 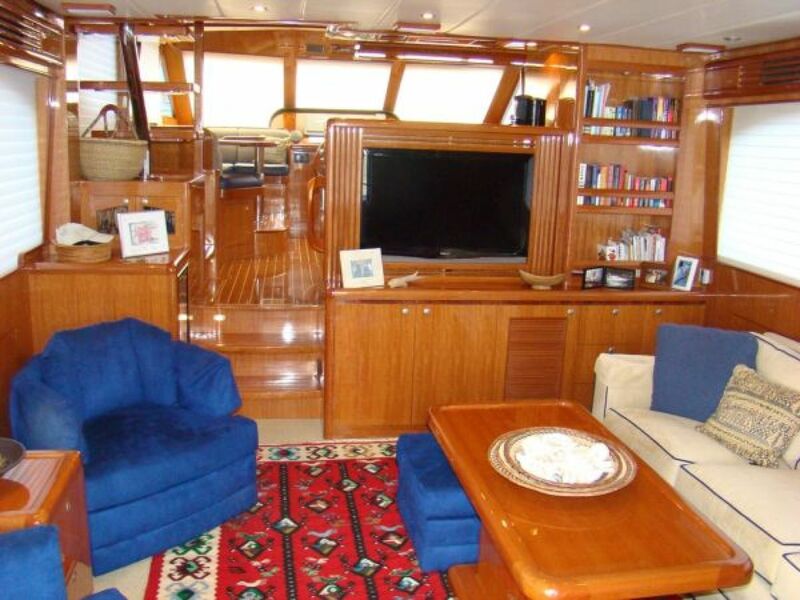 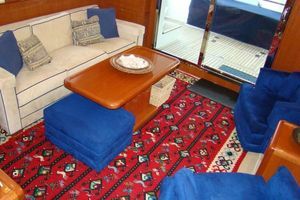 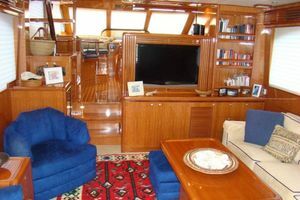 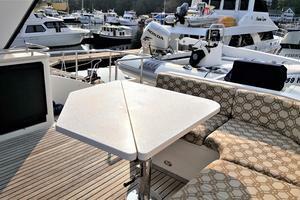 It is spacious and offers amenities usually found on much larger yachts. 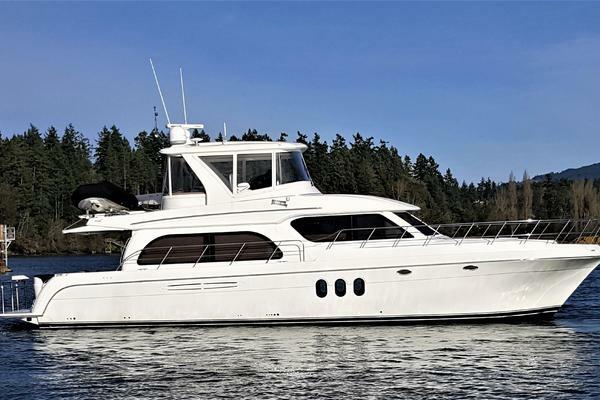 Amenities such as recessed walk-around covered decks, stand up engine room and lazarette with walk-in transom door. 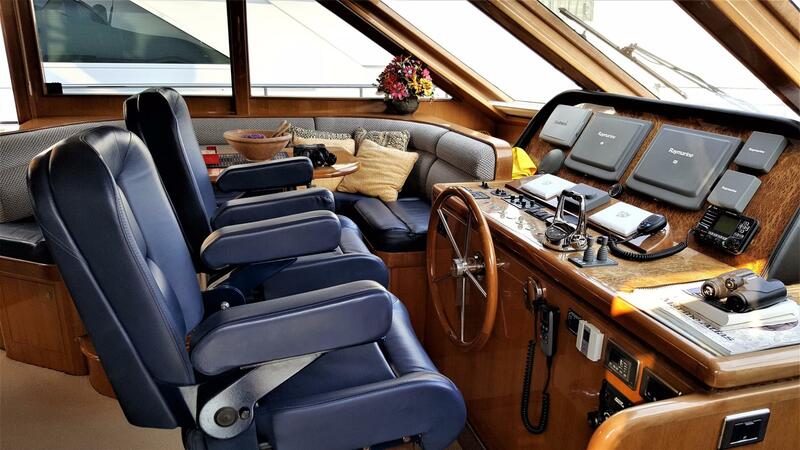 The 580's open floorplan gives the helmsmen a clear view from the pilothouse settee to the swimdeck and creates an open and inviting salon/galley/pilothouse arrangement. 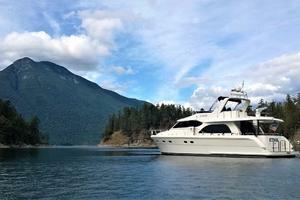 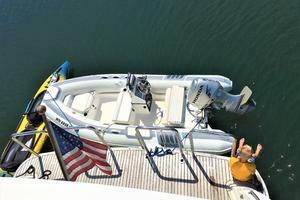 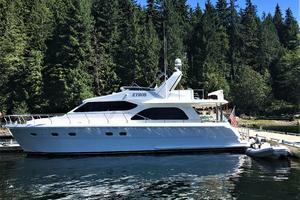 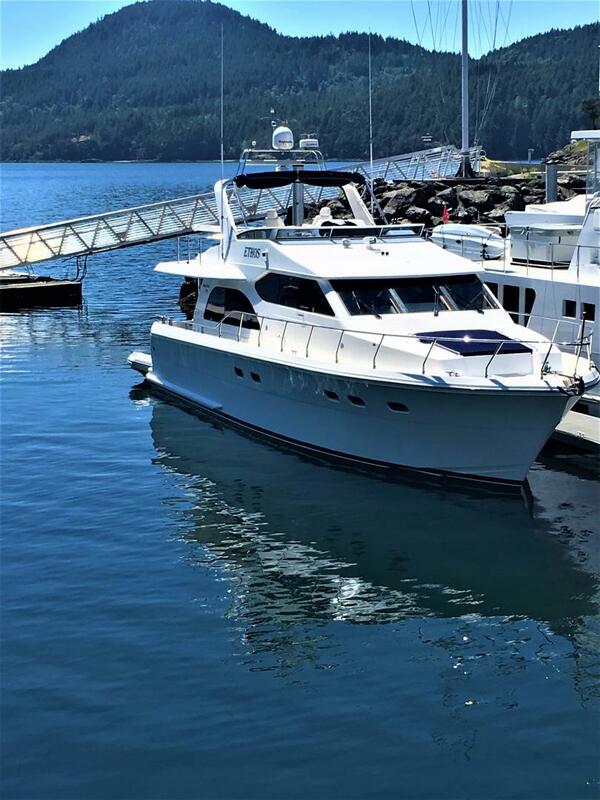 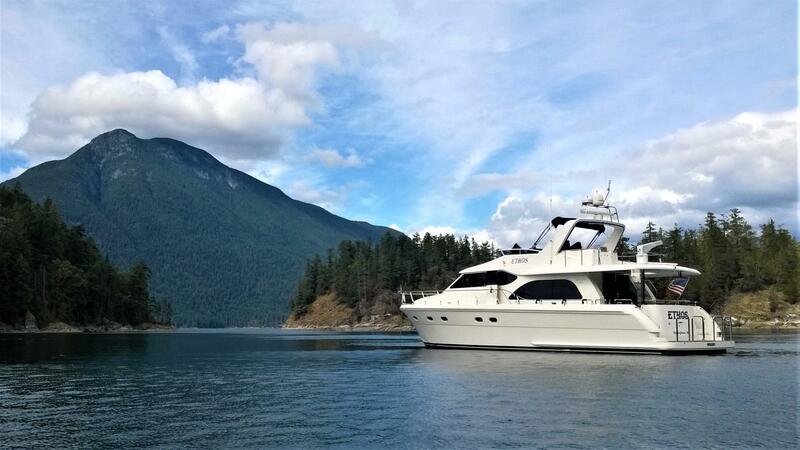 Accommodations & equipment include 3 staterooms and two heads, galley w/beautiful cherry cabinetry & granite countertops, a Kabola hydronic diesel heating system, (4) stations helm controls, RayMarine and Garmin navigation equip, bow & stern thrusters, Cummins QSM11 715HP diesels, Northern Lights 20 KW generator, Xantrex inverter, 13.5' Novurania Tender with 50 hp Honda outboard and Steelhead Marine 1250lb. 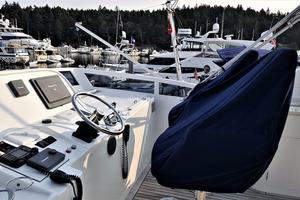 davit. 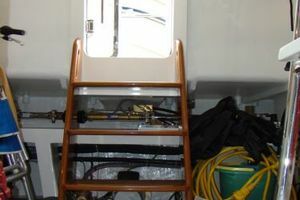 Two layers of Kevlar chine to chine and three layers in the forward collision zone. 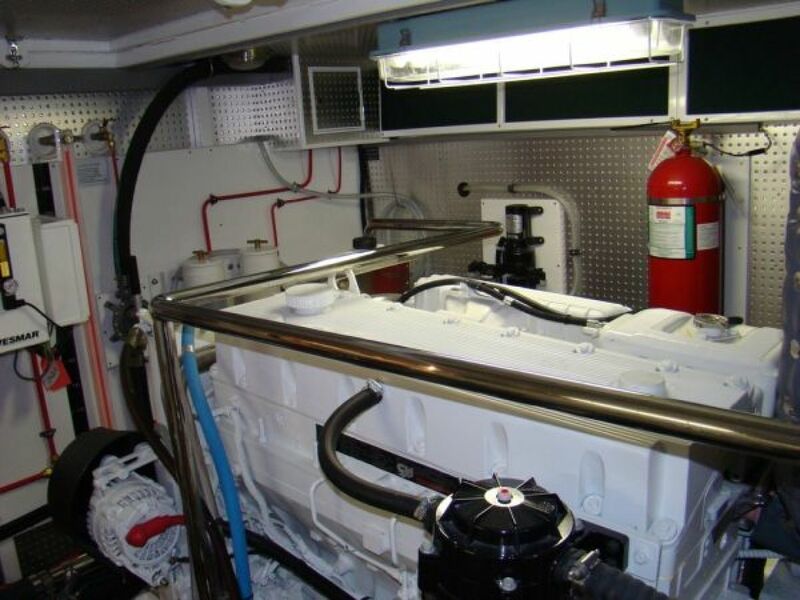 Easy to fuel tanks from one side. 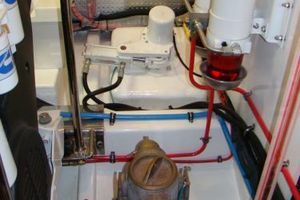 Port and Starboard aft control stations with bow and stern thruster controls. 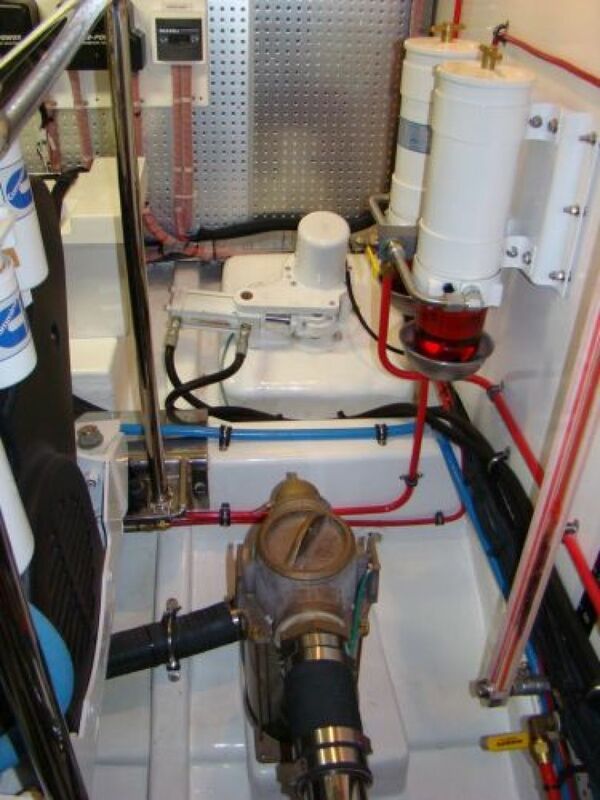 New Wesmar RS600 stabilizer system. 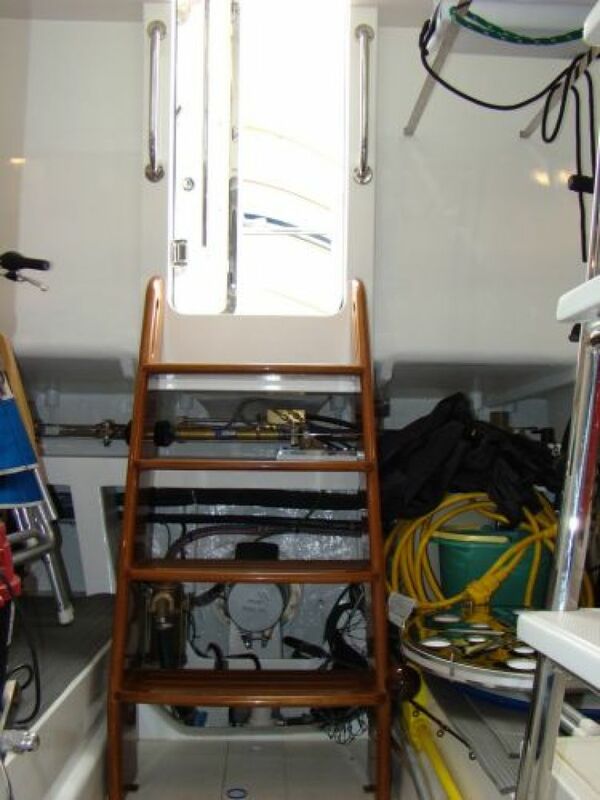 Displacement with full load is 92,000 lbs. 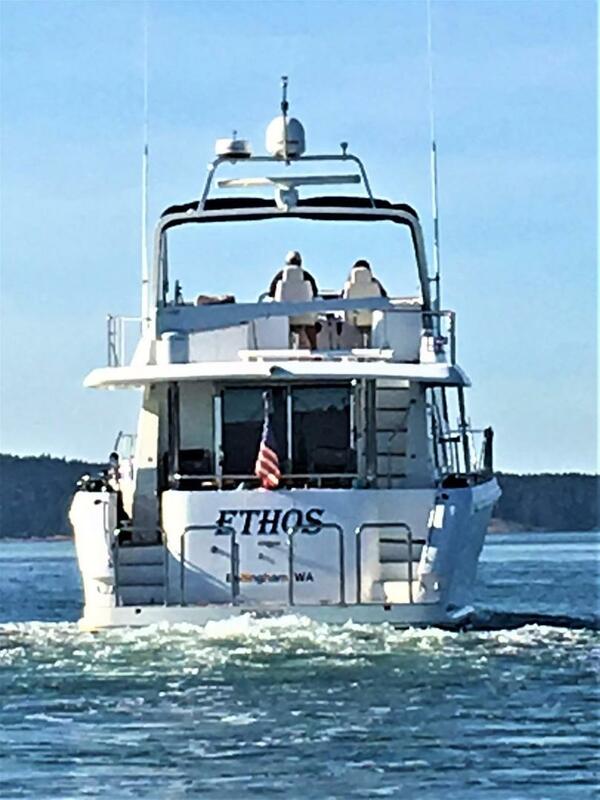 "Ethos" has extra storage beyond that of the standard configuration. 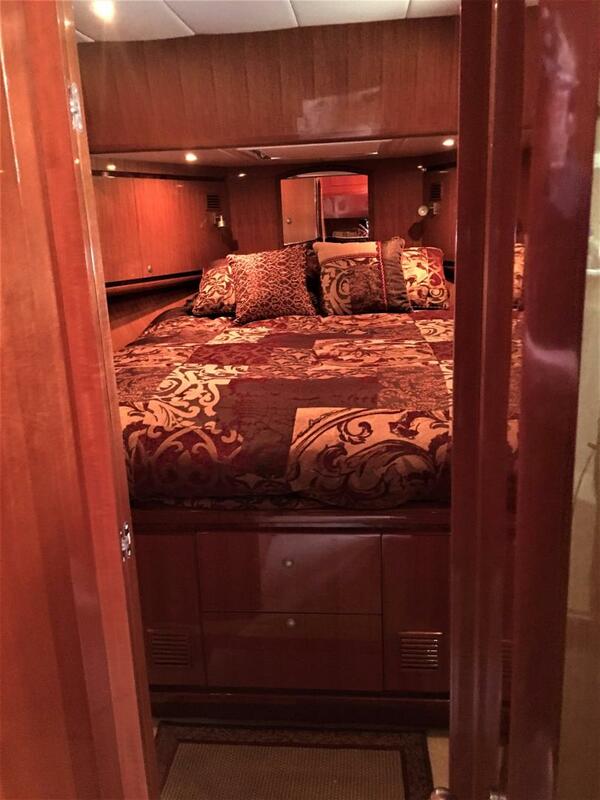 All of the closets are cedar lined and heated. 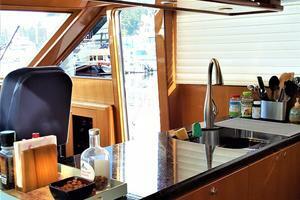 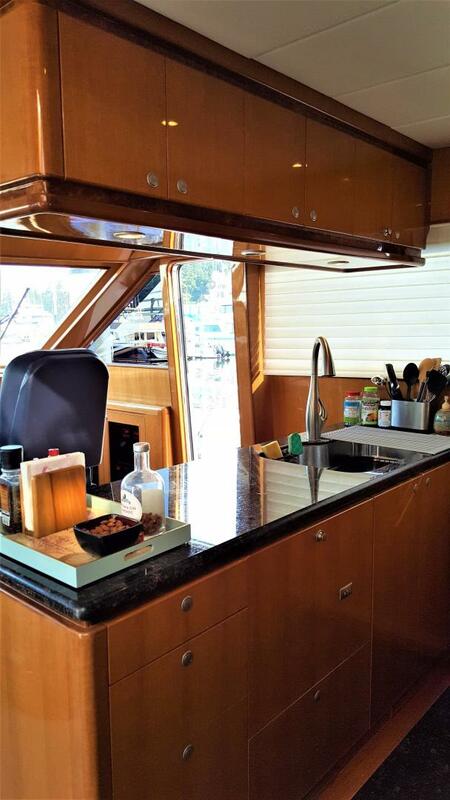 Floors in the heads and galley are heated when using the diesel furnace option..
Galley cook top - 4 - burner. 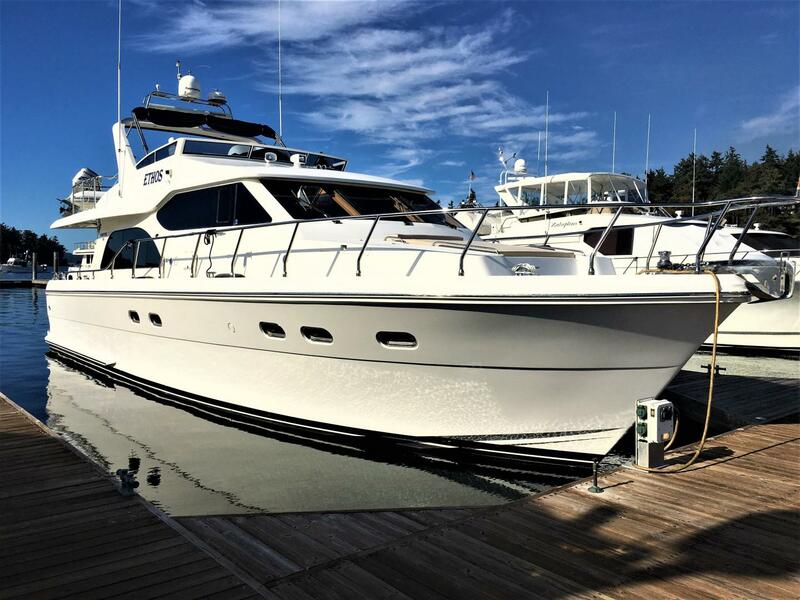 New in July 2017 - 2 - ICOM M-506 VHF radios. 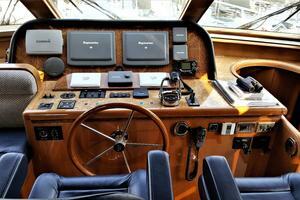 3 - Raymarine E120 multifunction displays for charts, radar and depth. 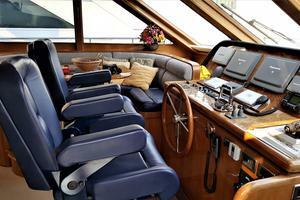 Divinycell deck and superstructure coring is strong, light and will resist rot. 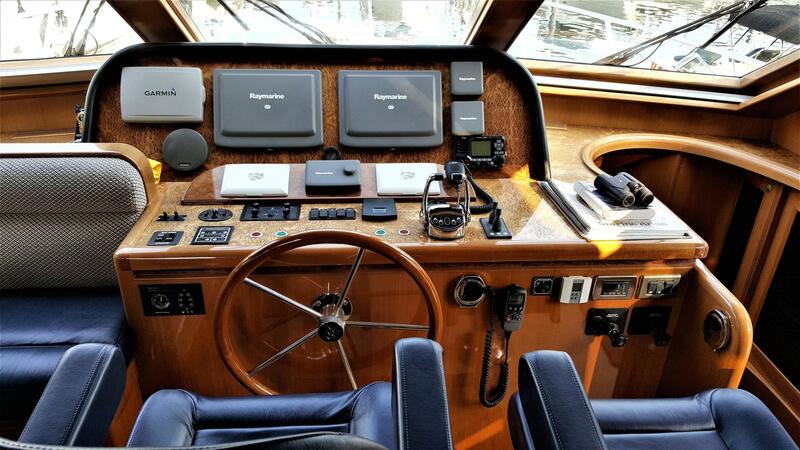 Electronics have been upgraded with the most current software. 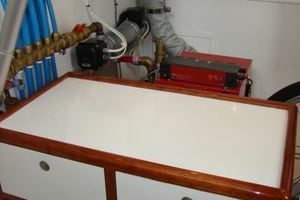 Main Engine After Coolers have been removed, serviced and boiled out. 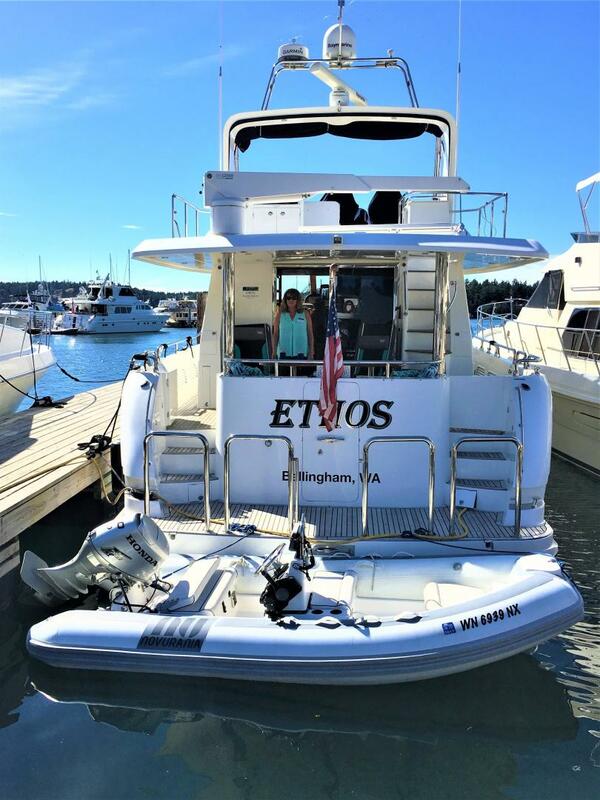 “Ethos” is well cared for by knowledgeable yachting family and shows the pride & care that they have taken to keep her in great condition. 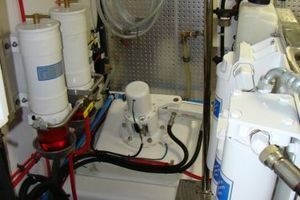 Recent oil and filter change with oil samples completed prior to oil change. 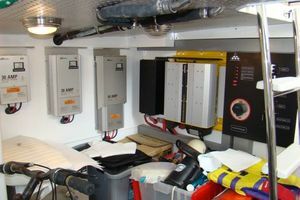 All samples passed with No Action Required!! 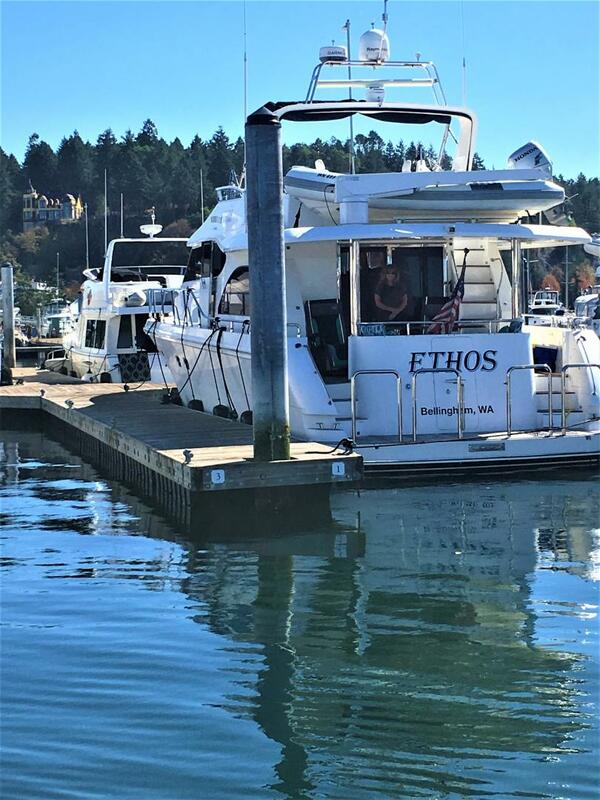 "Ethos" is always professionally maintained. 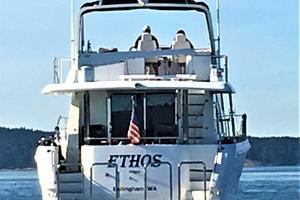 "Ethos" will sell quickly so call today for this fabulous opportunity!! 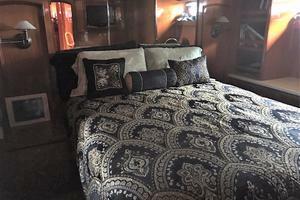 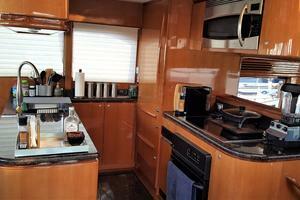 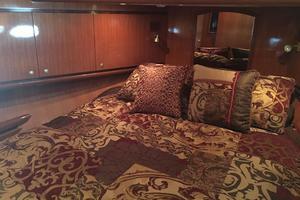 Accommodations aboard a Hampton 580 are generous, comfortable, spacious and elegant. 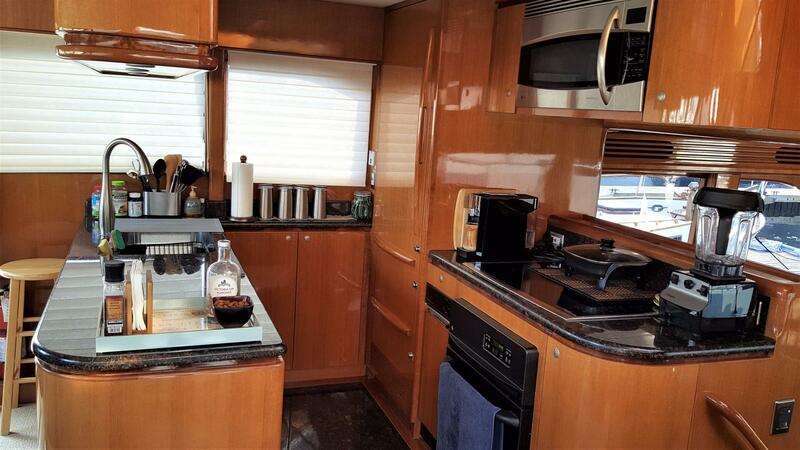 The yacht is finished in beautiful Makore cherry accented with Redwood burl inlays. 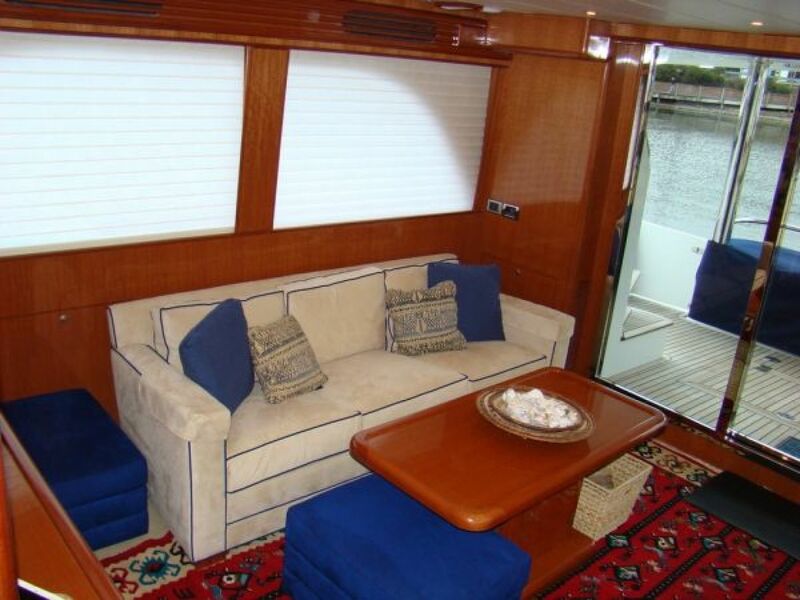 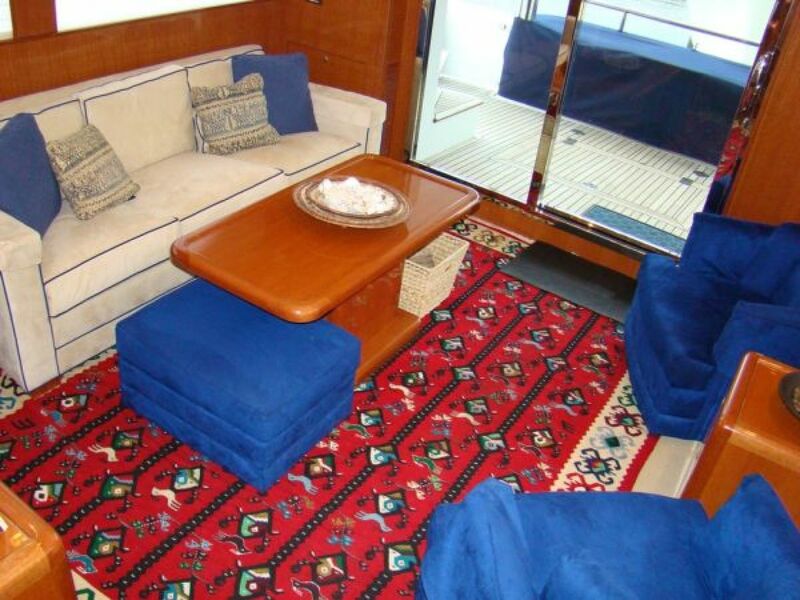 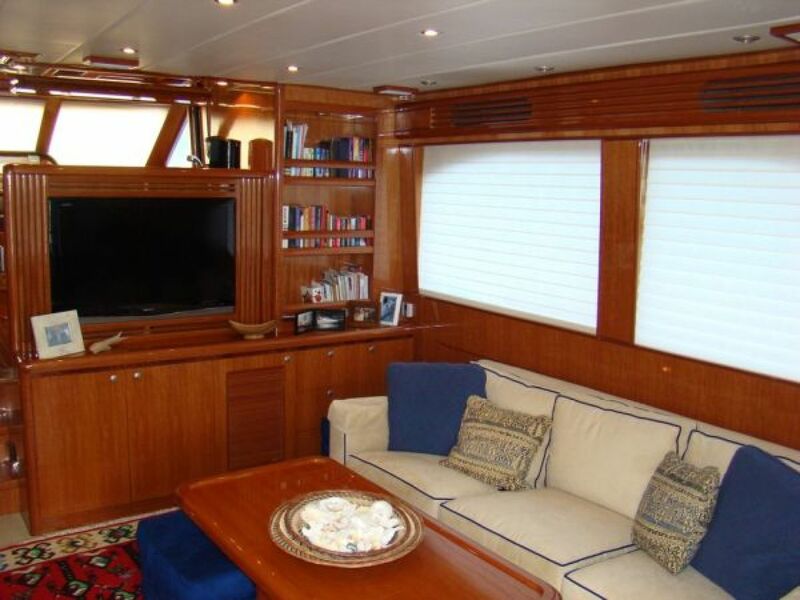 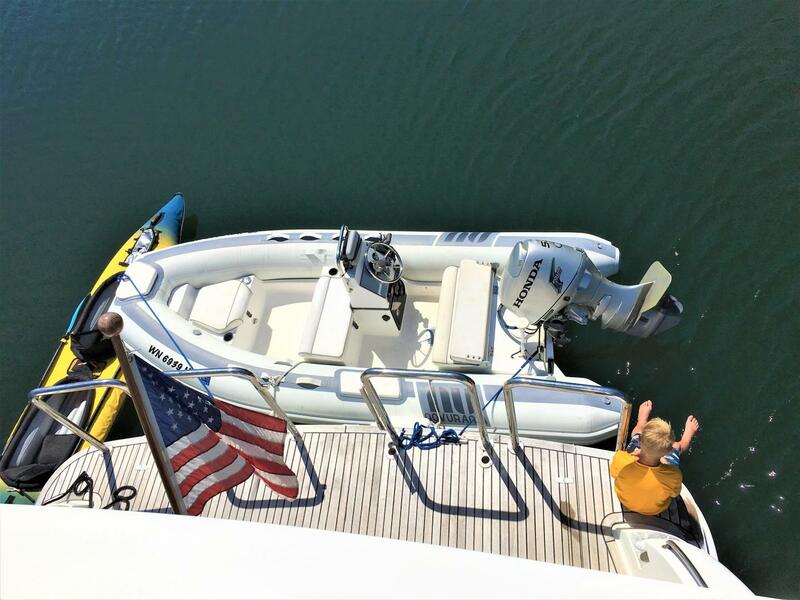 The salon features our most popular “Open Salon/Pilothouse” deck arrangement which creates a spacious salon, galley & pilothouse by combining the two areas. 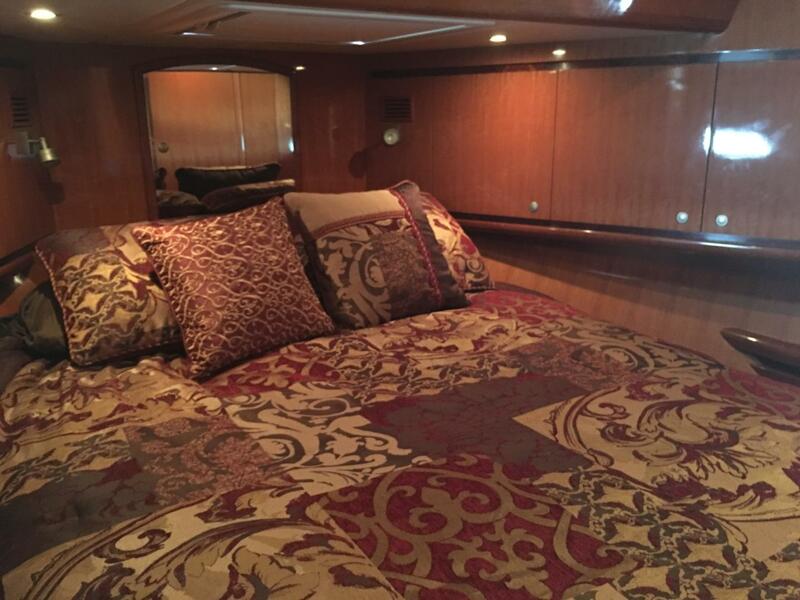 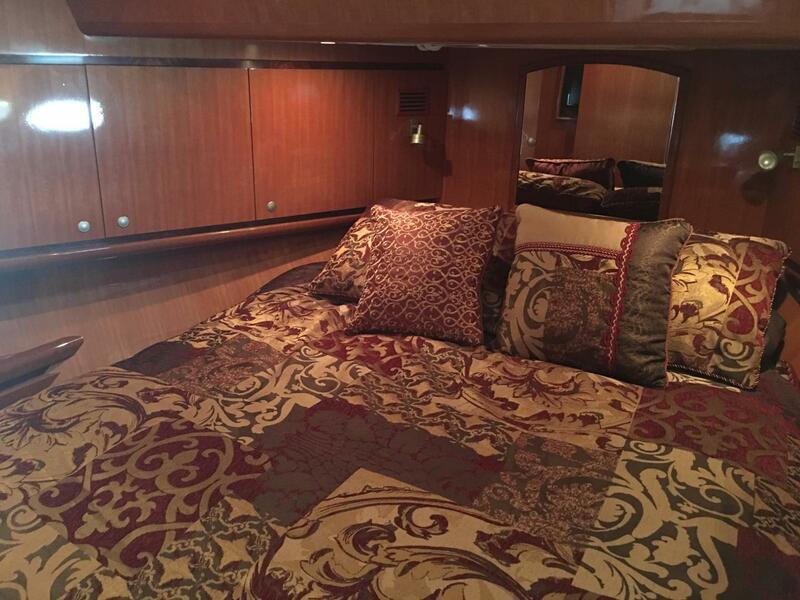 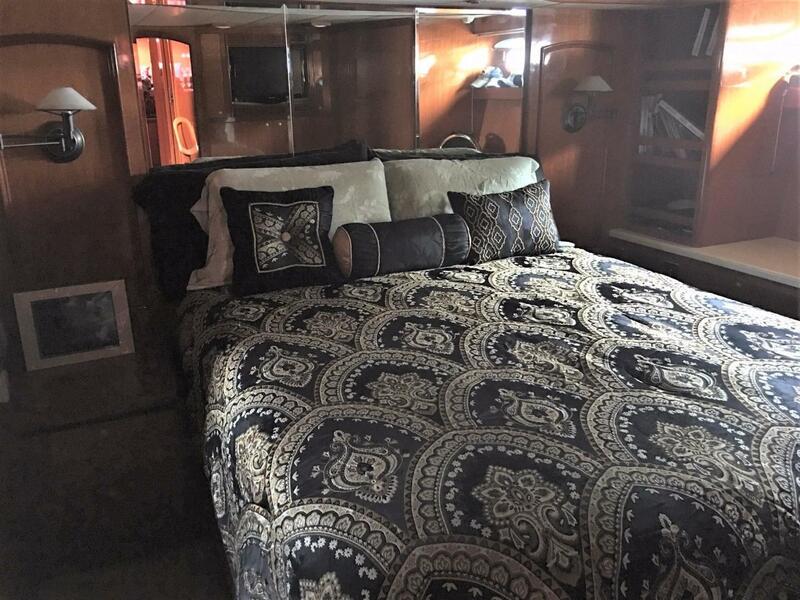 The Master stateroom is located midships and features a center island queen bed, lots of hanging locker and drawer storage, entertainment system and an ensuite head. 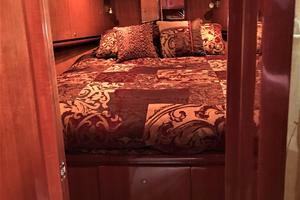 The Master head has Marble countertops & floors, Techma quiet flush toilet and a large stall shower. 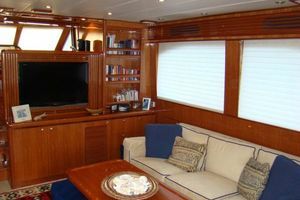 Just forward of the master stateroom to stbd is the Foyer with Bosch washer & separate dryer; to port is the Guest stateroom that offers twin bunks, an entertainment system and hanging locker & drawer storage. 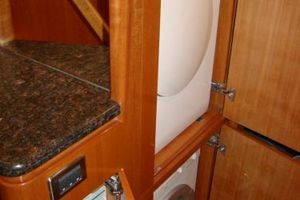 Across and forward from the guest stateroom is the Guest head; this head has Marble countertop & flooring, Techma quiet flush toilet and stall shower. 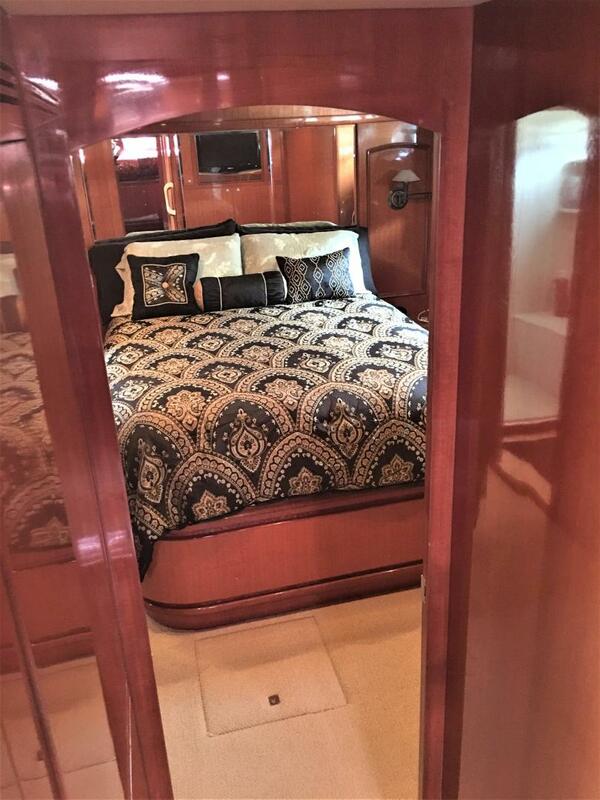 There is also private access to/from the VIP stateroom; The VIP stateroom offers a island queen bed, locker & drawer storage, entertainment system and is a very spacious & luxurious stateroom. 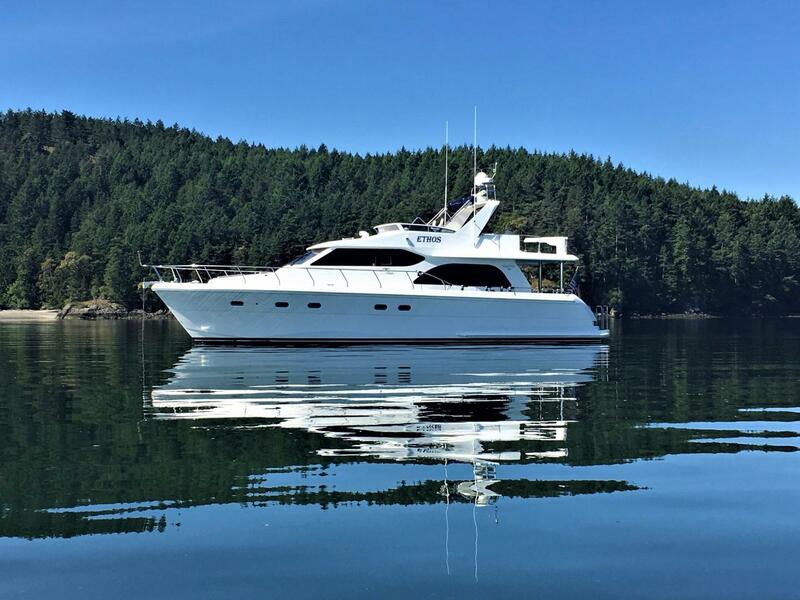 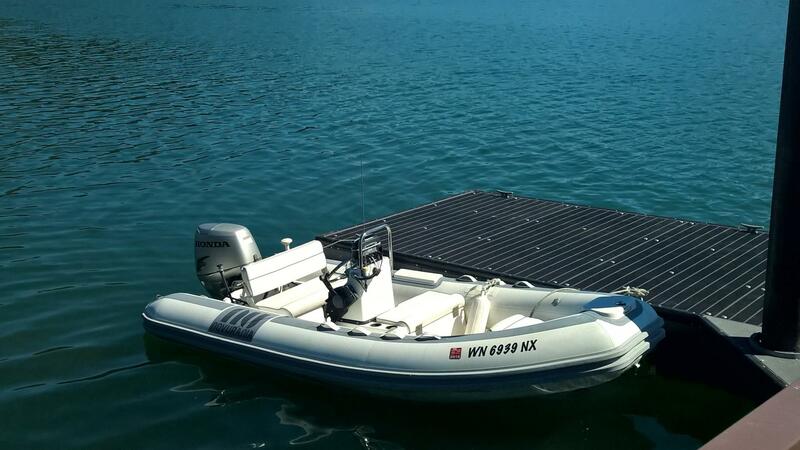 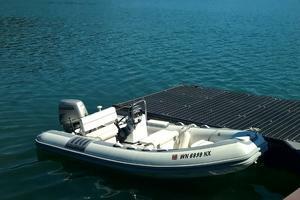 The solid fiberglass hull is built using Knytex/Cymax, Vinylester resin and Kevlar. 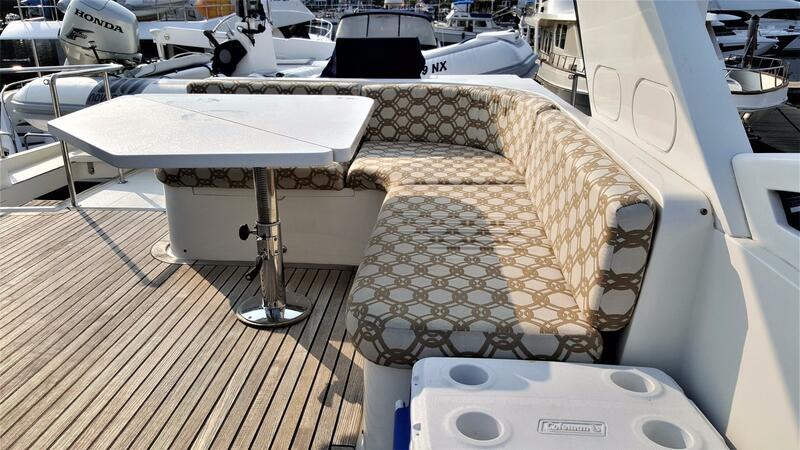 Two layers of Kevlar are used from chine to chine with 3 layers used in the inpact zones. 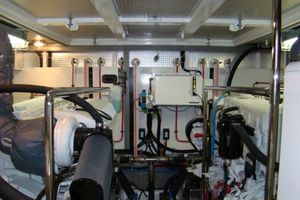 The hull and deck are attached via through bolting every 6 inches, sealed with 3M 5200 and then glassed over with 3 layers of fiberglass to form a watertight unitized structure. 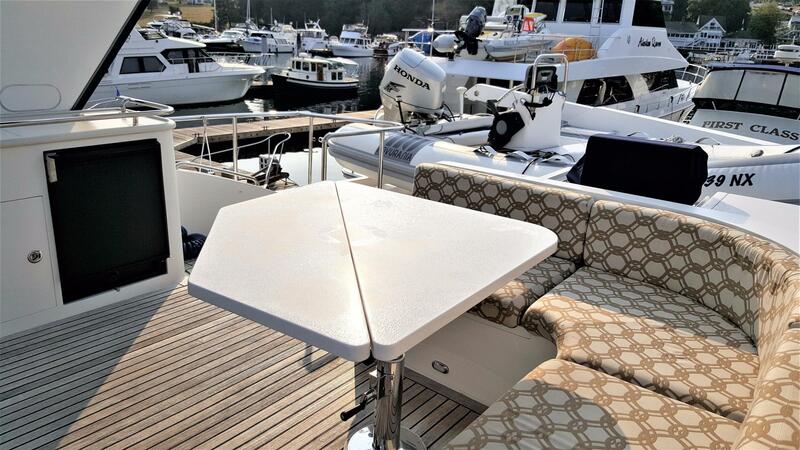 The decks, house and flybridge are constructed using Divinycell foam coring for both strength and to help keep the upper structure light as well as resistance to rot. 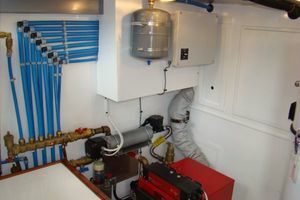 The Hull & Deck features that set the H580 apart from the competition are the wide recessed covered walkways, the walk-in transom door, port & stbd side boarding gates, inside bulwarks air-plenums, protected fuel fills that drop down from the house sides which have a fuel catch basin and also the fuel vents are plumbed into the same compartment to help eliminate over filling spills. 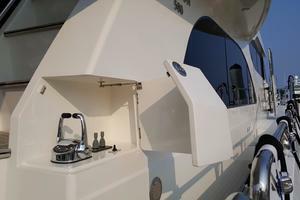 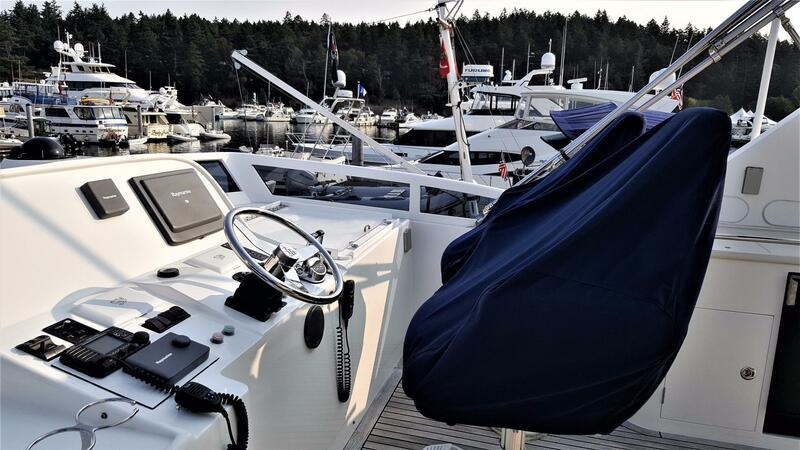 The yacht is also equipped with anti bubbling vent filters. 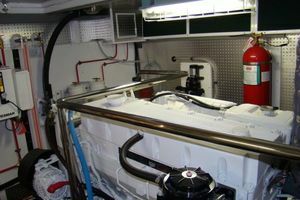 The 580's "Stand-Up" engine room is spacious and allows for complete serviceability of the machinery housed in the space. 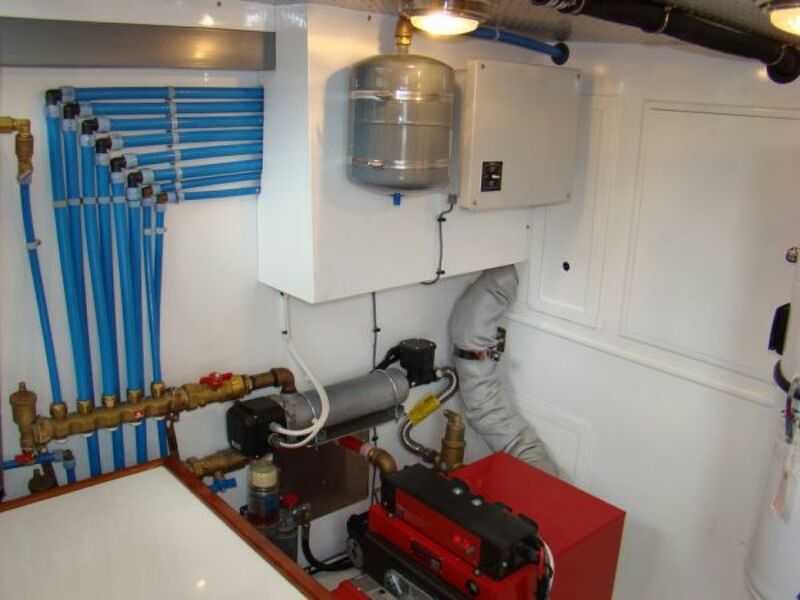 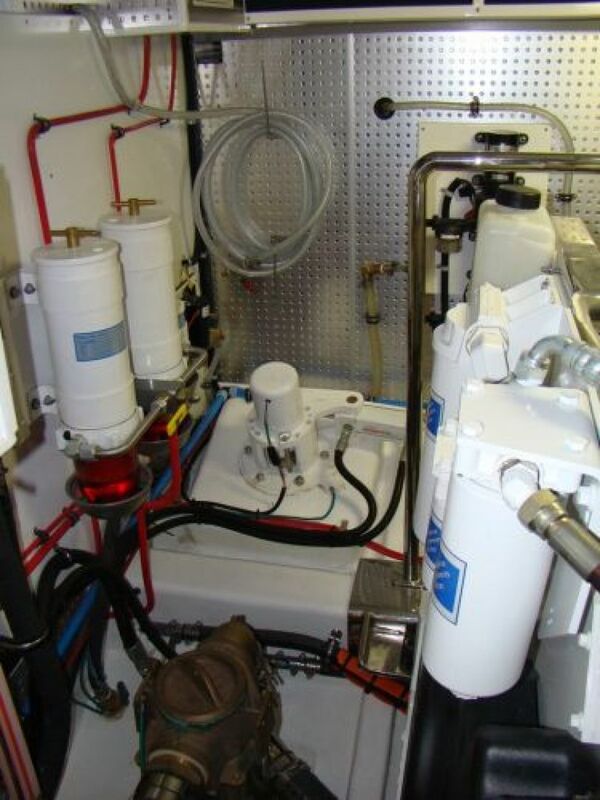 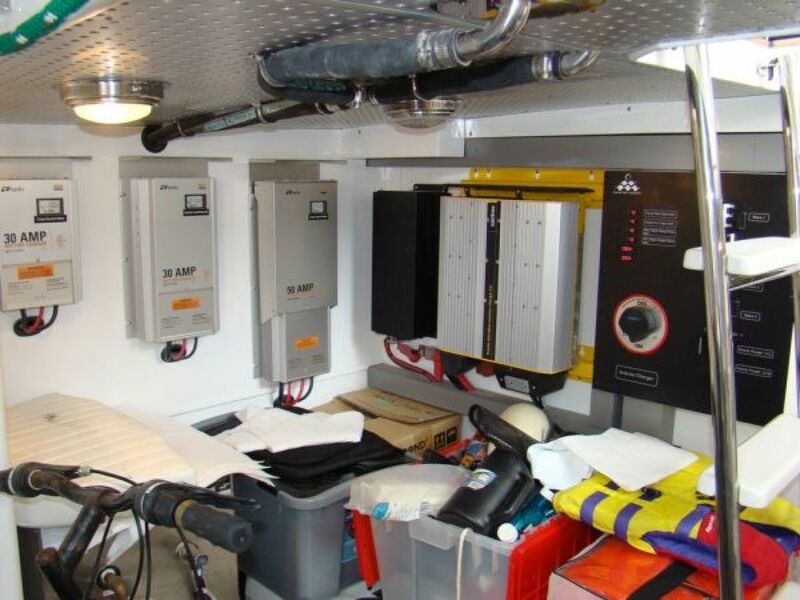 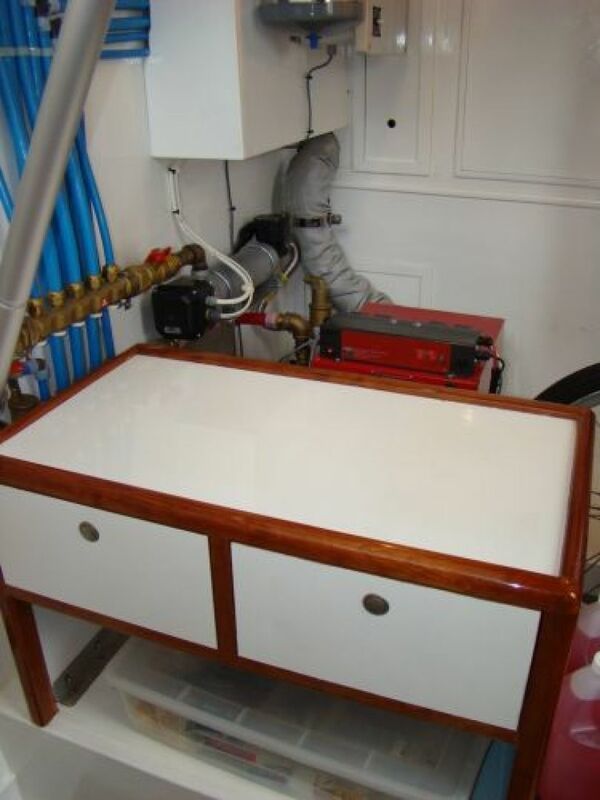 Aft of the engine room is the "Stand-Up" lazarette that house the water maker, Kabola diesel furnance, battery chargers, inverter, glendinning cable master and has access from the transom via the "Watertight" transom door as well as the hydraulic lift hatch on the aft deck. 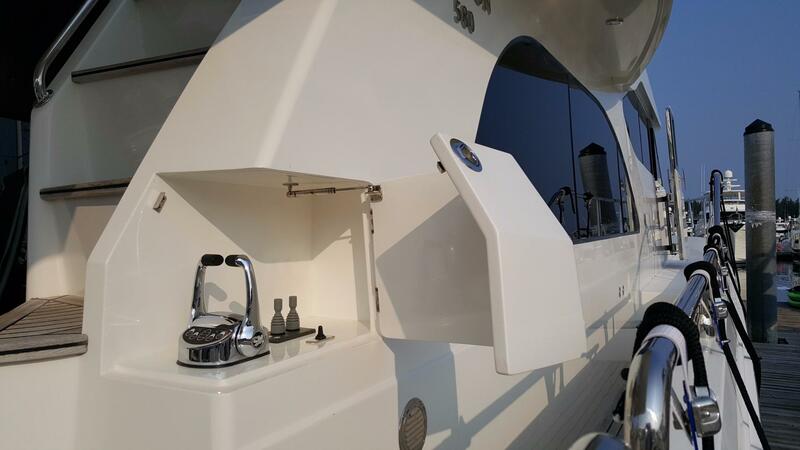 One of the special features on the H580 is that the Air Plenums are located on the inside of the recessed walkways which greatly helps to reduce salt spray intake into the engine room. 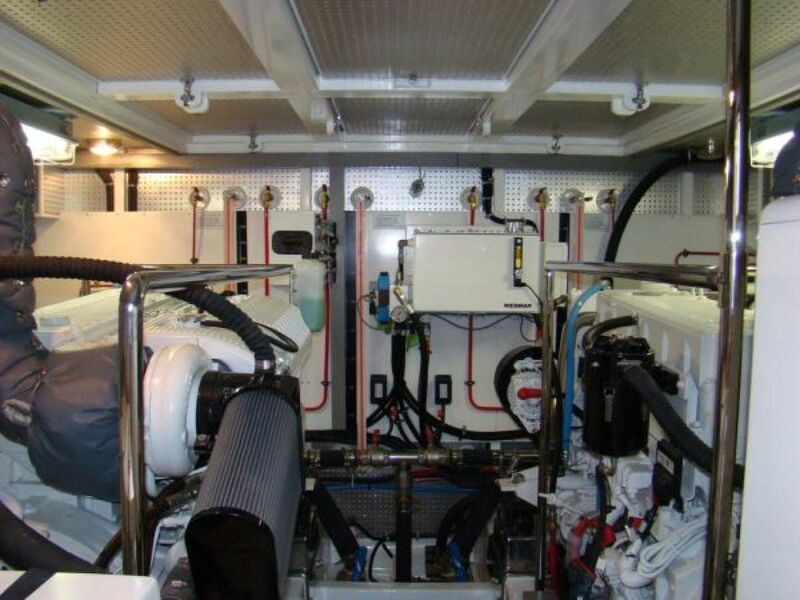 The plenums are also equipped with screens to further help reduce salt spray into the engine room. 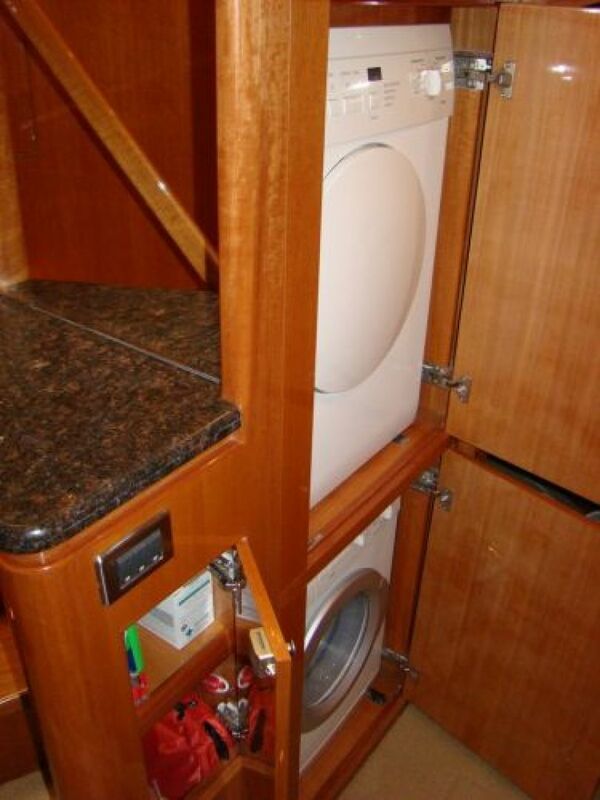 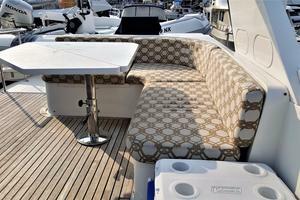 This is a special feature that you will not find on most other 58’ yachts.